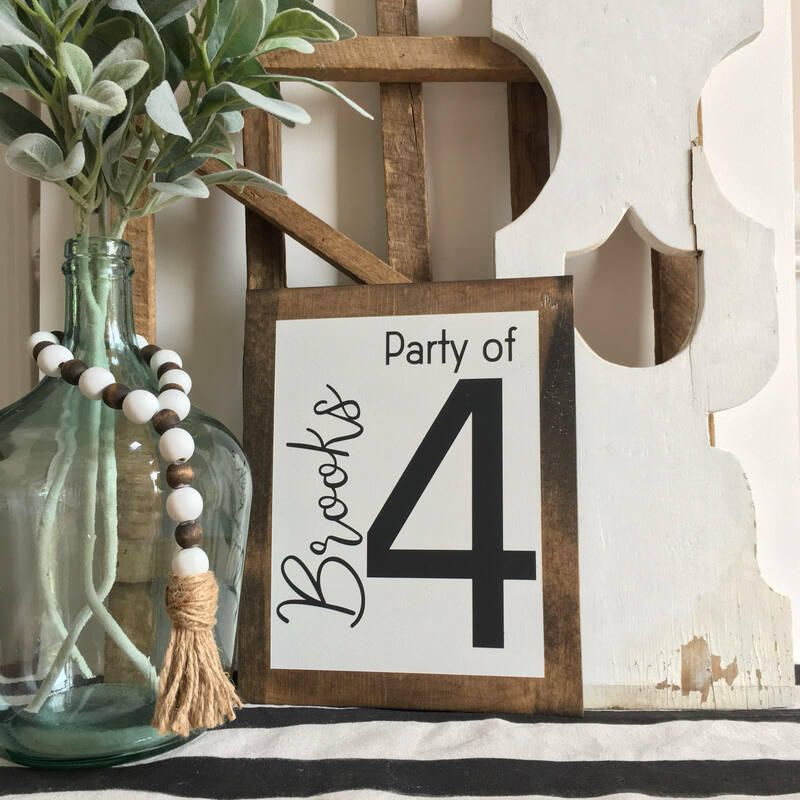 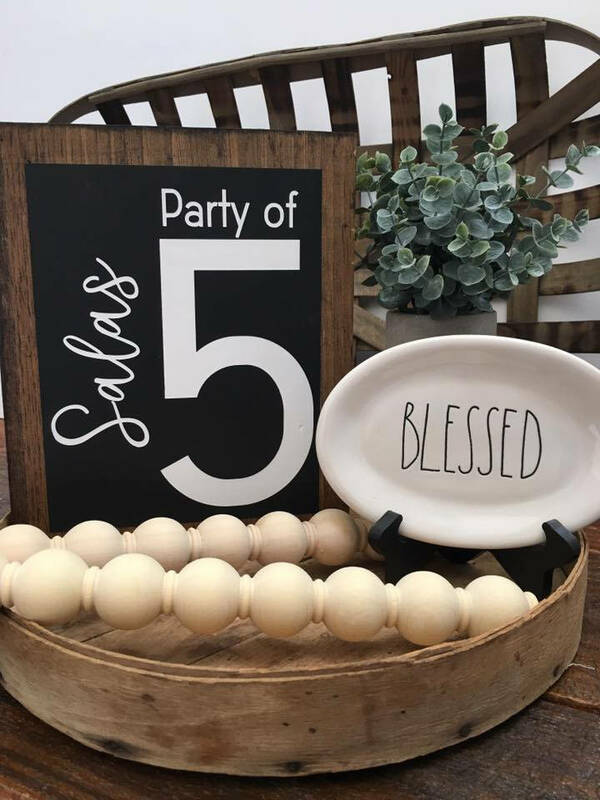 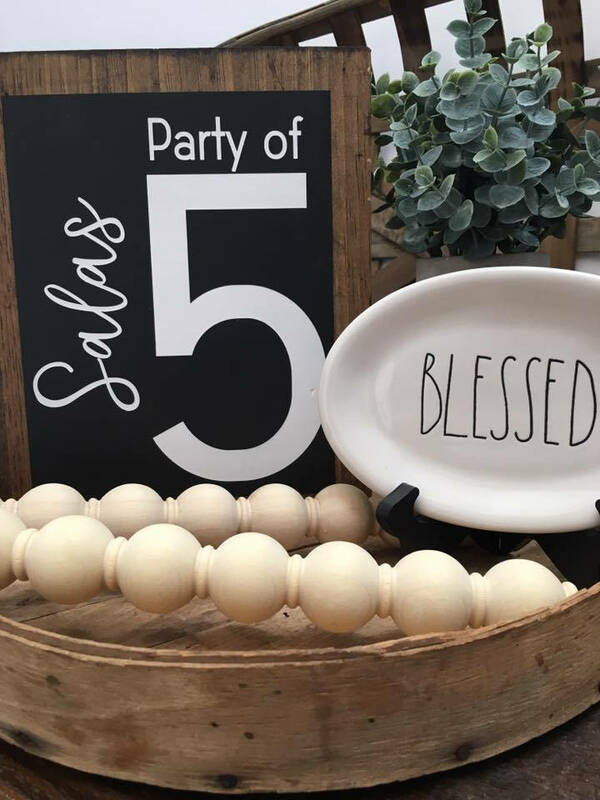 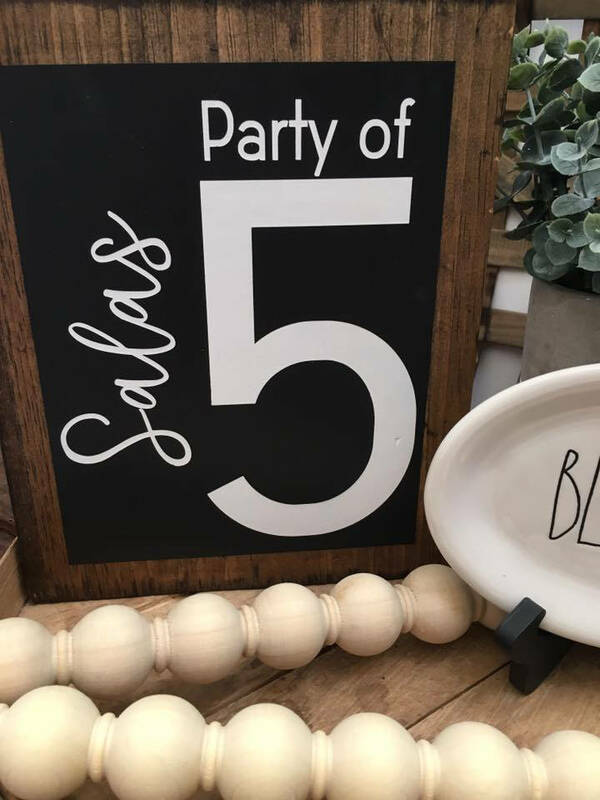 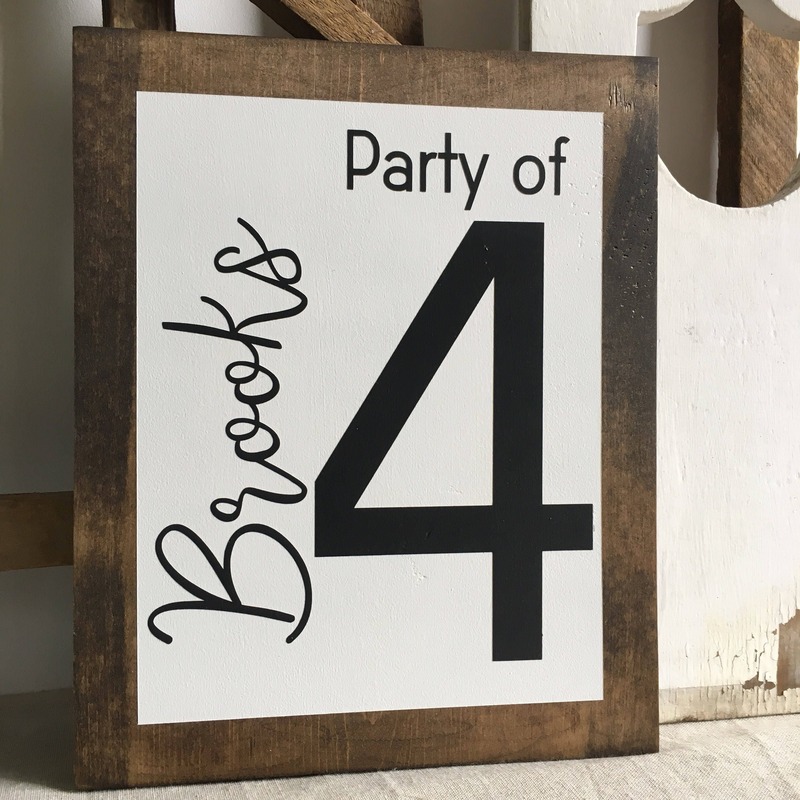 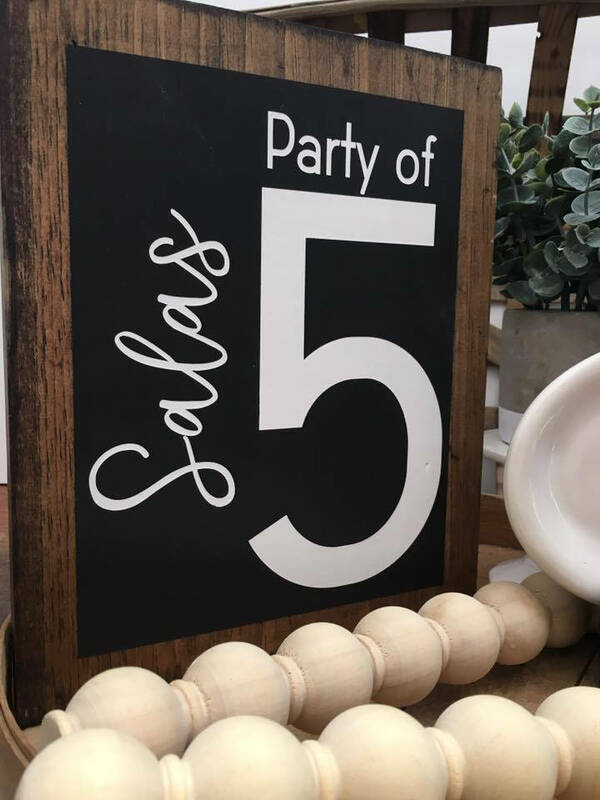 Our "Party of" sign would be a great addition to your home décor or even a great gift. 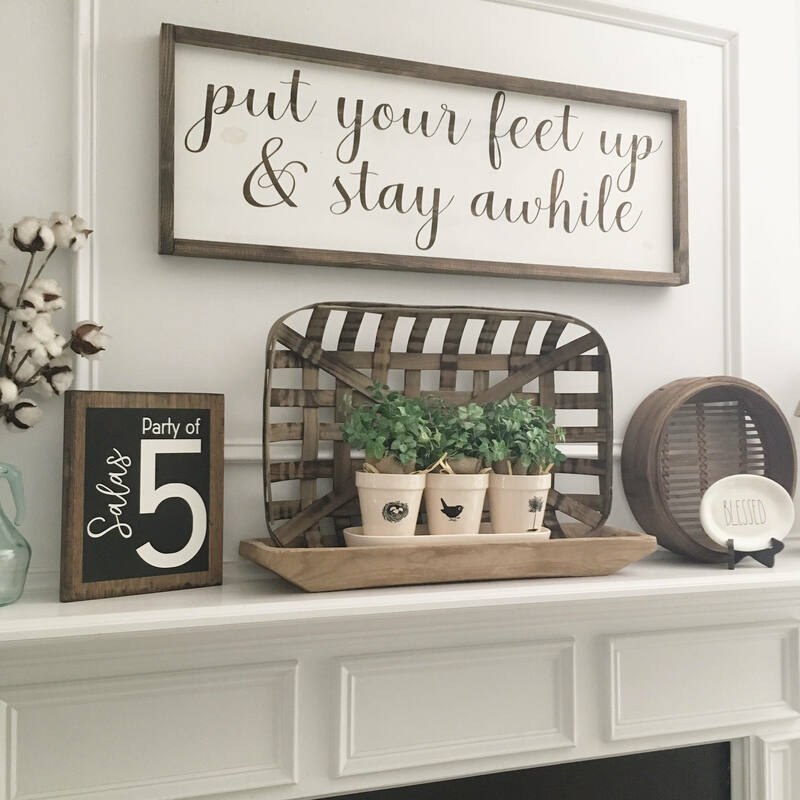 Please note that this sign IS NOT framed it comes with the stained faux frame trim, painted background & wording, & is approximately 9.25X11.5. 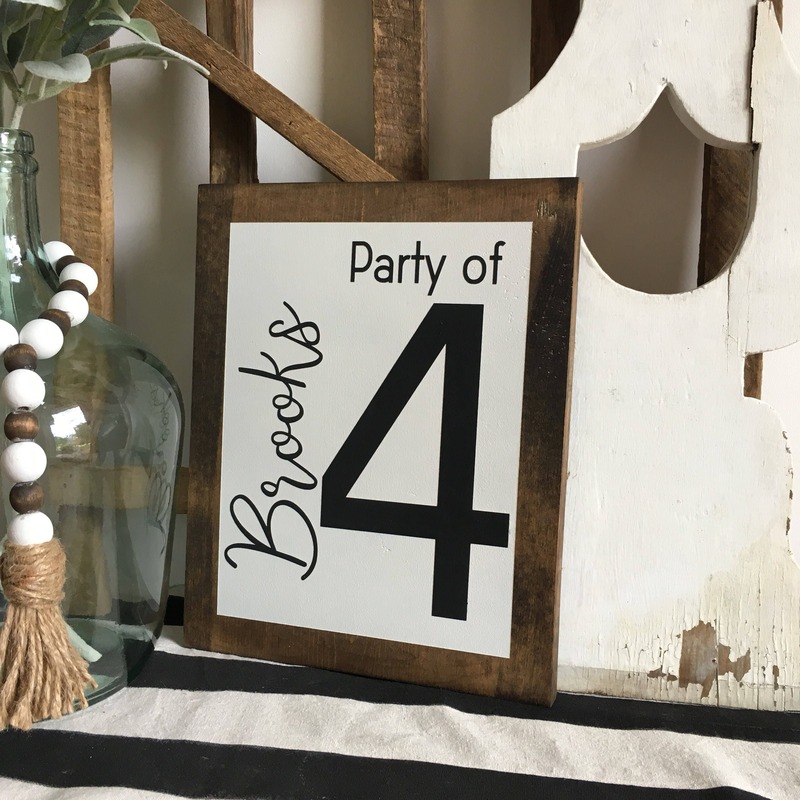 At checkout list in notes to seller the name you want on your sign. 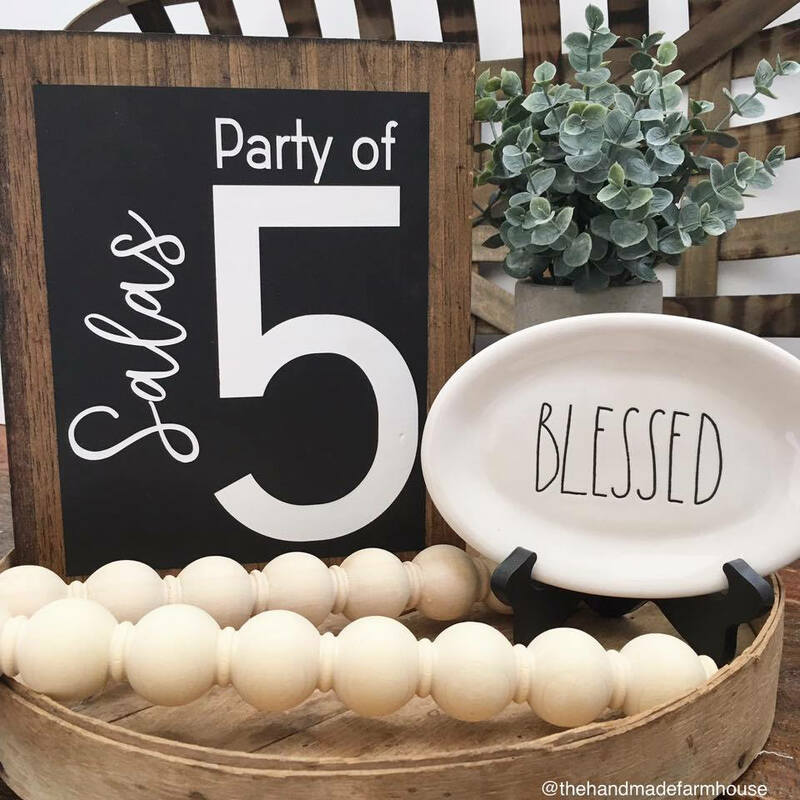 Be sure to double check that the name you list is spelled correctly. 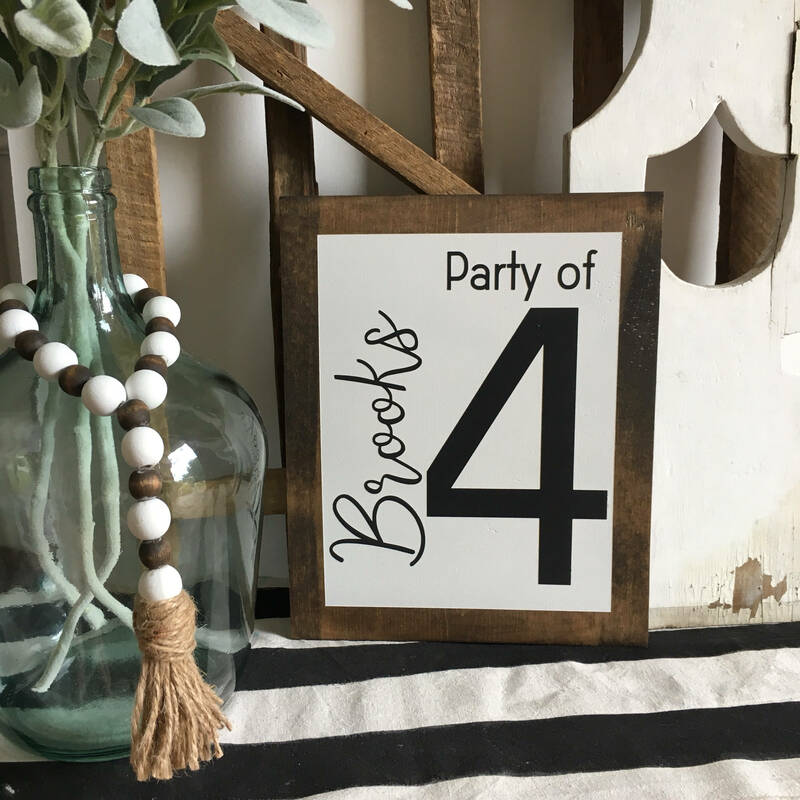 This sign CAN NOT be returned due to personalization.